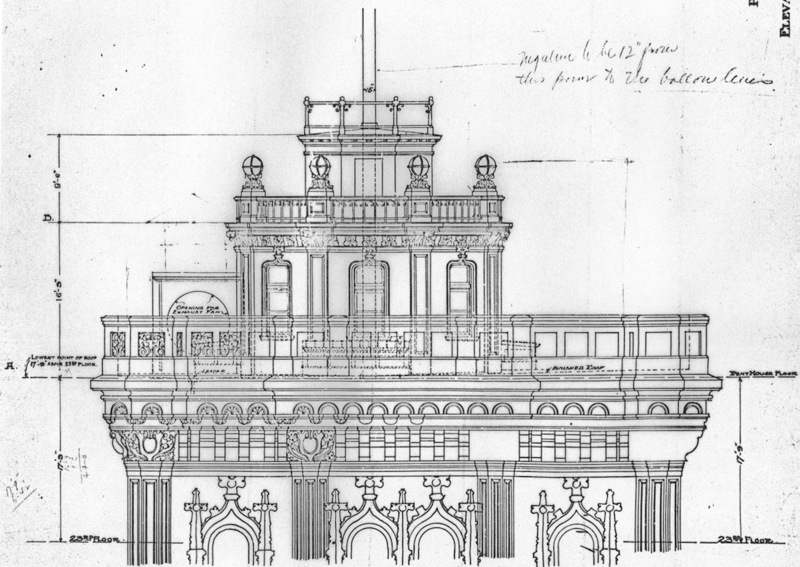 The architectural renderings signed by C.L.W. Eidlitz are reproduced from a few of many drawings of the building that now survive, or at least are accessible, only in microfilm copies in the archives of HLW International, the successor firm of Eidlitz and McKenzie. 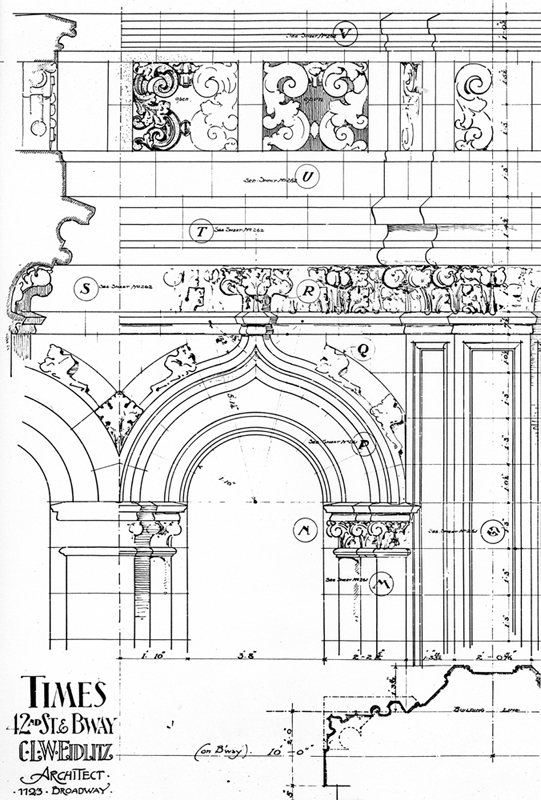 Along with the construction progress photographs, they detail the extremely rich program of terra-cotta decoration and interior ornamental ironwork created for the Times Building. The steel skeleton of the tower was clad in terra cotta above the twelfth floor; below was beige face brick. Made of molded and fired clay, terra cotta was a material that could imitate carved stone, but was much less expensive and lighter weight for construction. 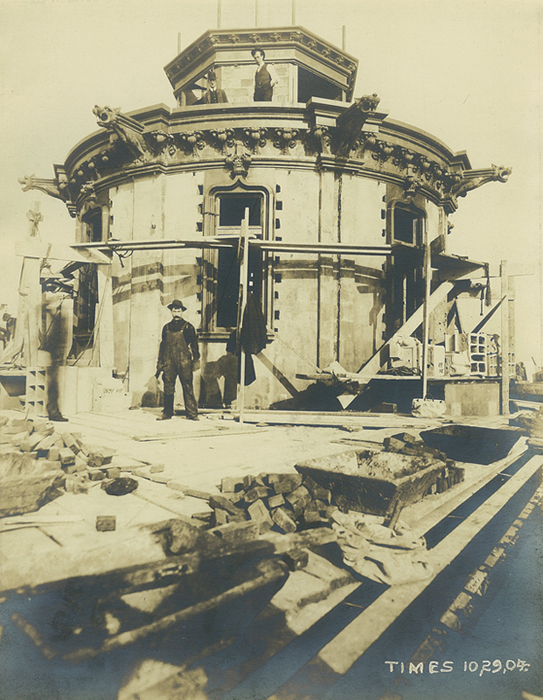 The most ornate floors were the heavy flaring cornice with its very robust sculptural elements and the little octagonal observatory that Ochs claimed for his aerie. 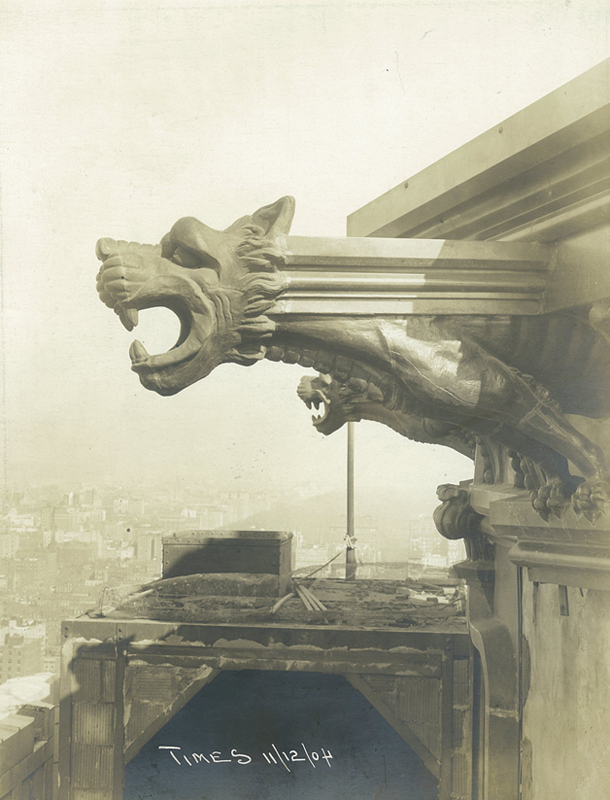 The gargoyle below, or more properly, the chimera, was made of copper: one survives in the new quarters of the Times at Eighth Avenue and 41st Street. Few people today realize that the building at the heart of Times Square covered with gigantic LED signs and screens, where the ball drops every New Year's, is the same structure that Eidlitz and McKenzie constructed in 1904. 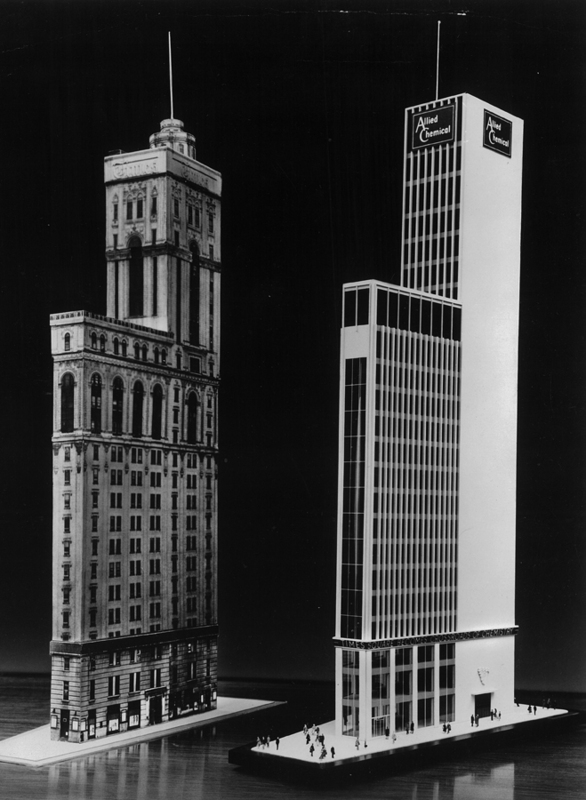 In 1963, the new owner of the tower Allied Chemical hired Smith, Smith, Haines, Lundberg & Waehler (now evolved into HLW International) to modernize the building. 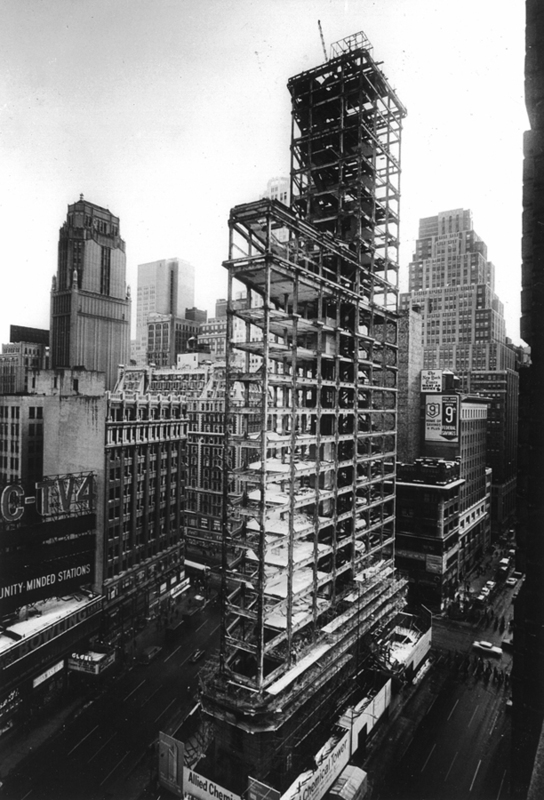 They stripped bare the steel frame, as shown in the photograph below, and replaced the walls, windows, and identity of the tower, replacing it with smooth white marble panels. Since the 1990s, the building has served primarily as a superstructure for lucrative signage.